I am happily posting my 100th post, layered mutton biryani in oven. 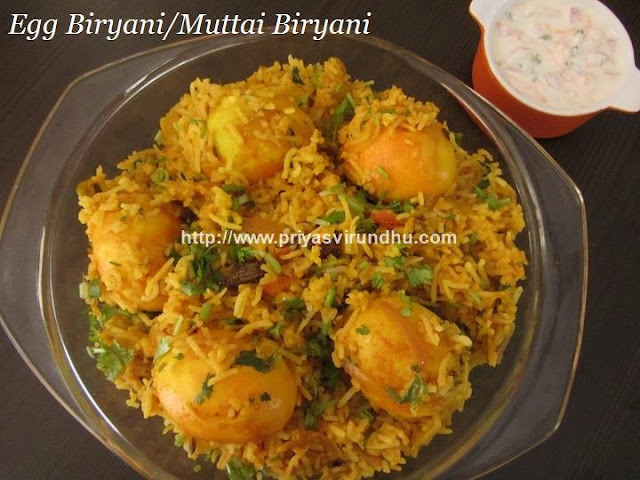 Try out this biryani you will never forget the taste of it. 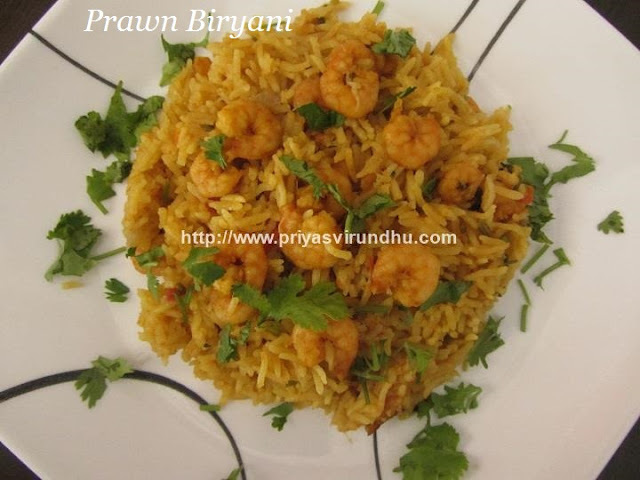 I usually prefer to make biryani in oven when it is for large crowd, it is simple and easy as well. 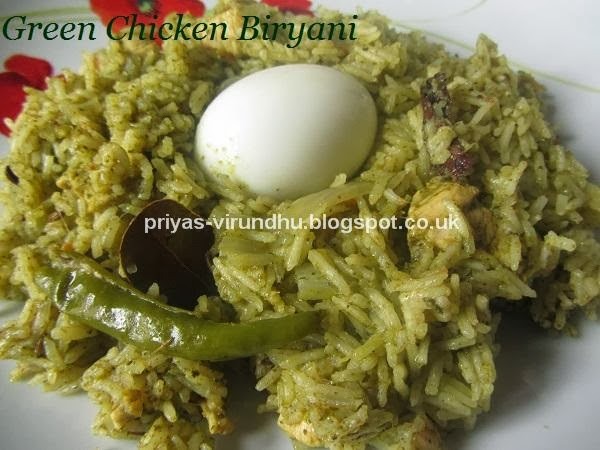 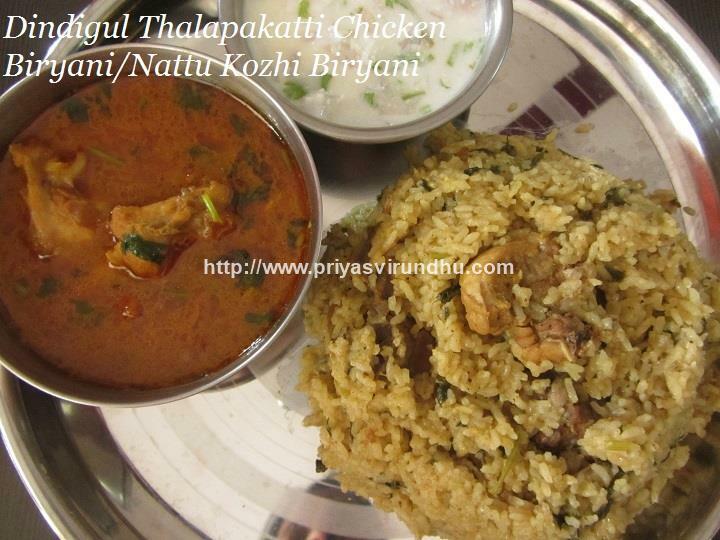 “Simple & Quick Pressure Cooker Chicken Biryani”, everybody loves biryani. 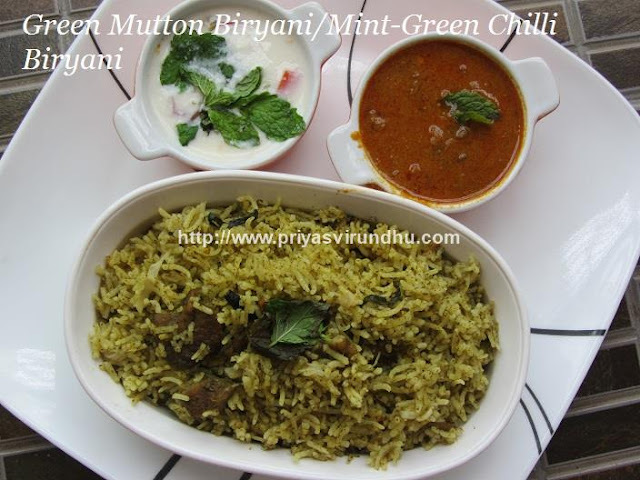 There are different ways to make biryani. 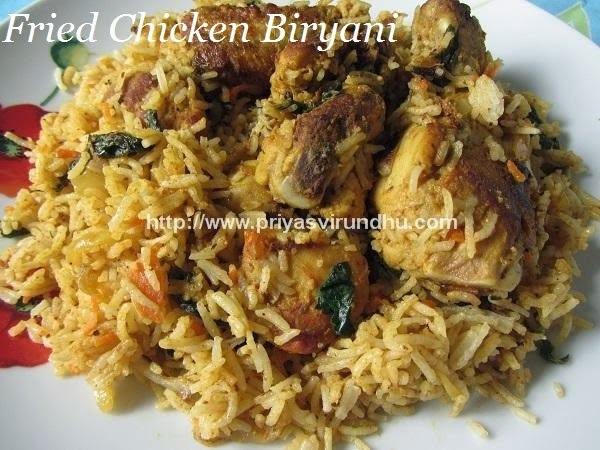 But if you are really running out of time and still want to make chicken biryani, this is it, just make it in a cooker it will be a one pot meal with no hassles. 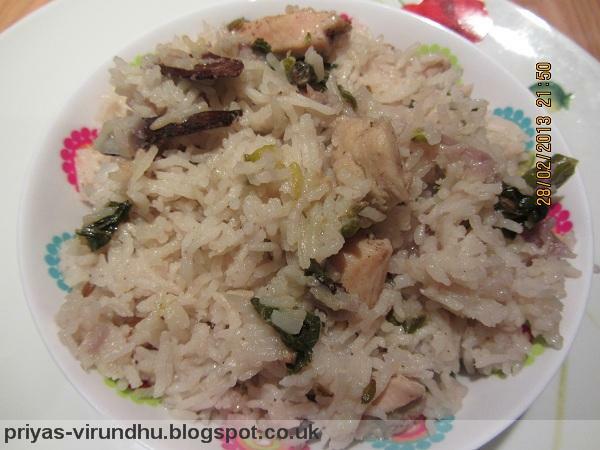 Chicken Pulav is a one pot meal. 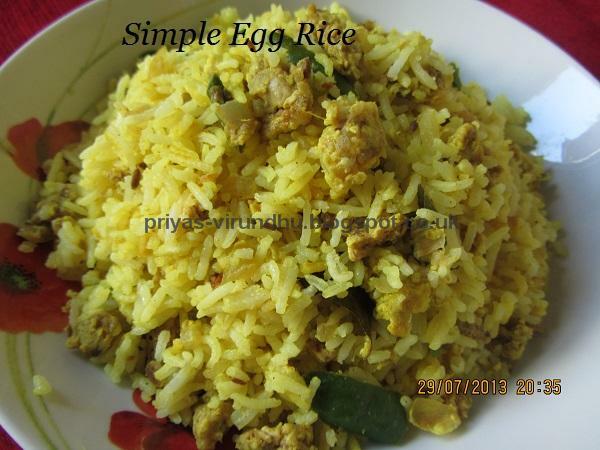 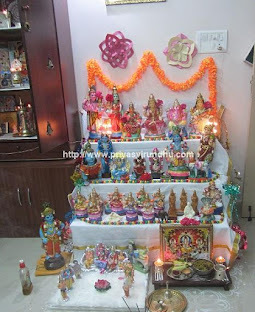 It is very simple and quick to make. 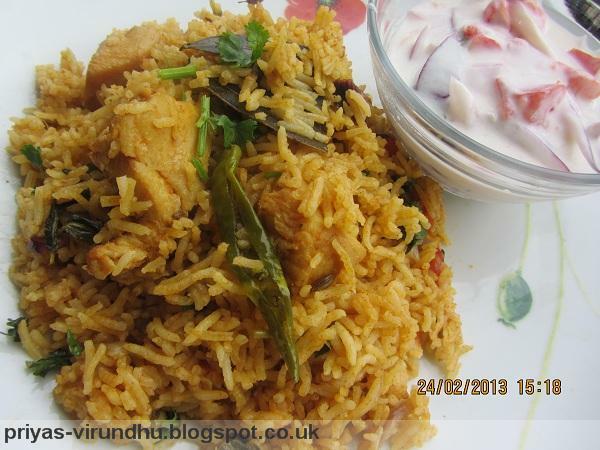 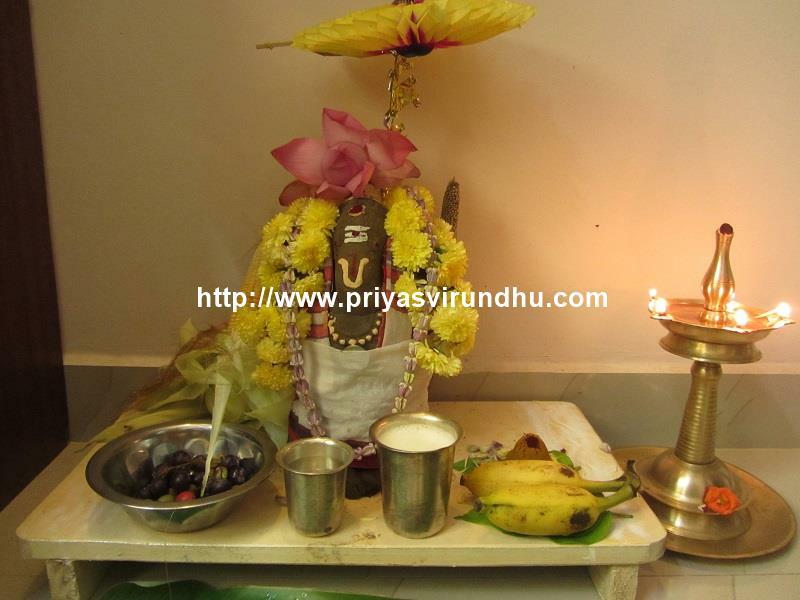 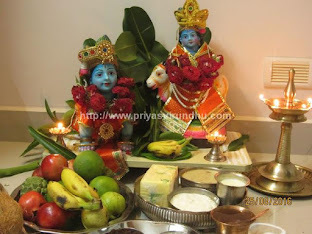 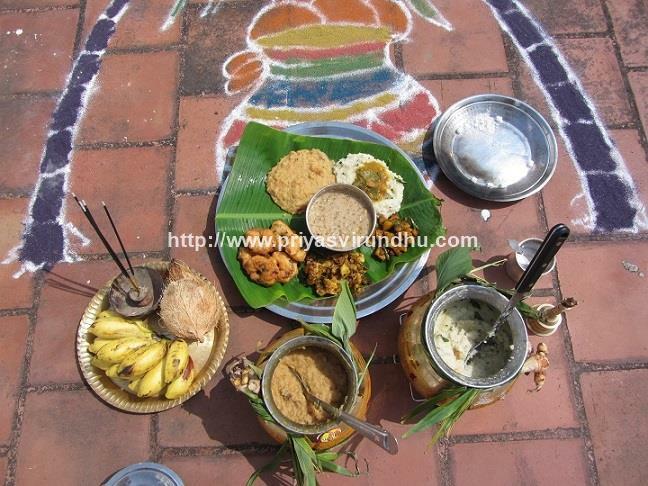 I am a great fan of Chef Dhamodharan. 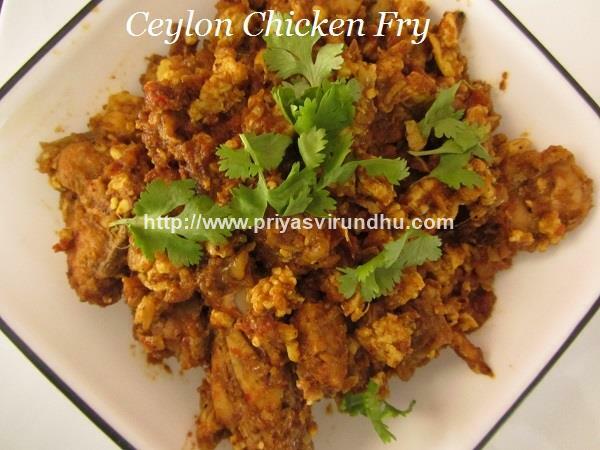 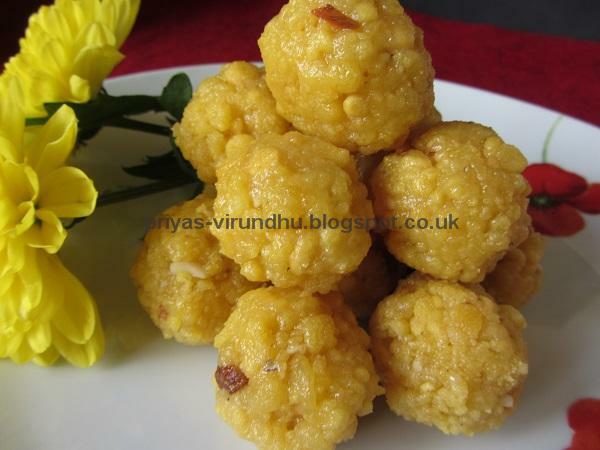 I have learnt and cooked lots of his recipes and this is one among them. 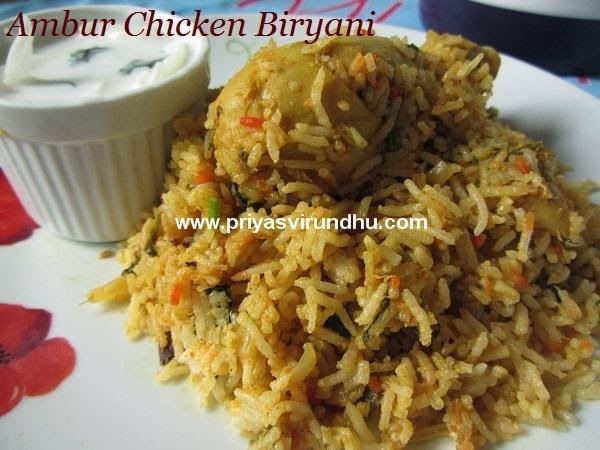 The main difference between Chicken pulav and Chicken biryani is pulav remains white and the taste is from the green chillies and coconut milk. 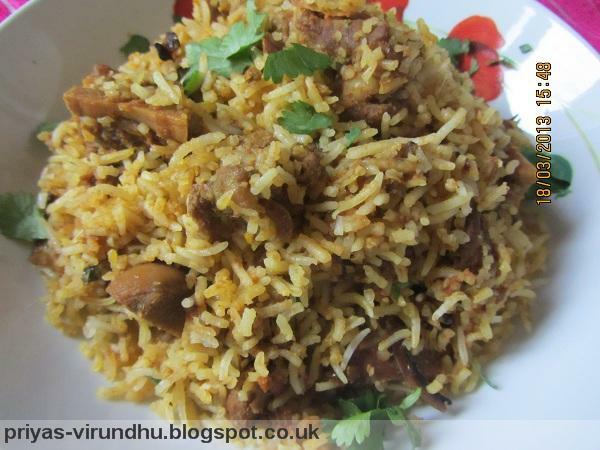 Pulav is comparatively milder than biryani.